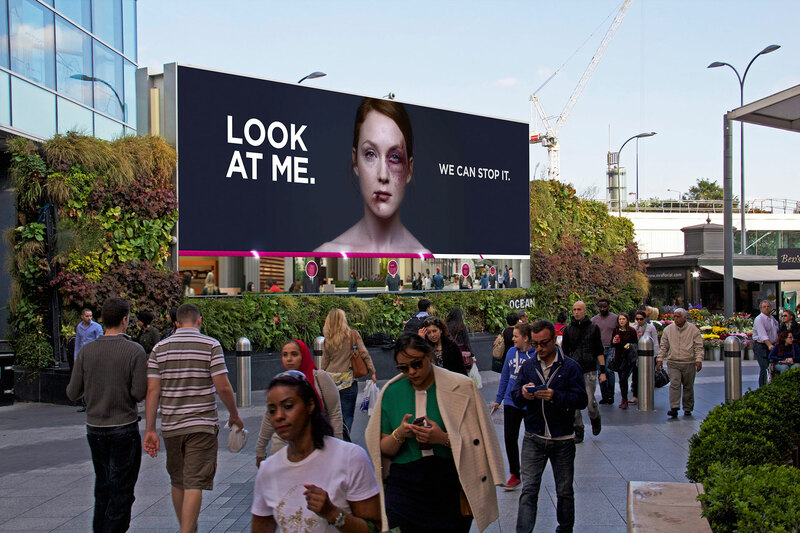 Here's an interesting use of facial recognition technology on billboards—to do something a little more inspiring than target you with the right products. 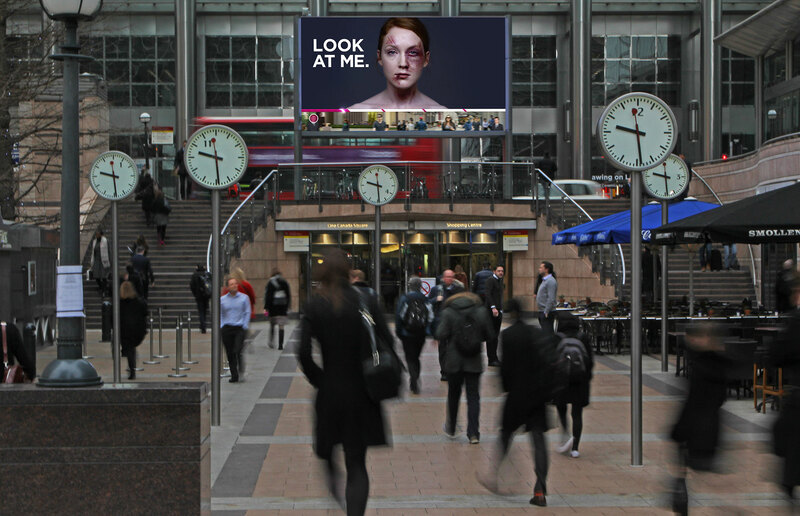 To coincide with International Women's Day this Sunday, London agency WCRS teamed up with Women's Aid and Ocean Outdoor to create some remarkable digital billboards about domestic violence. They use facial recognition to recognize when people are paying attention to the image of a bruised woman. 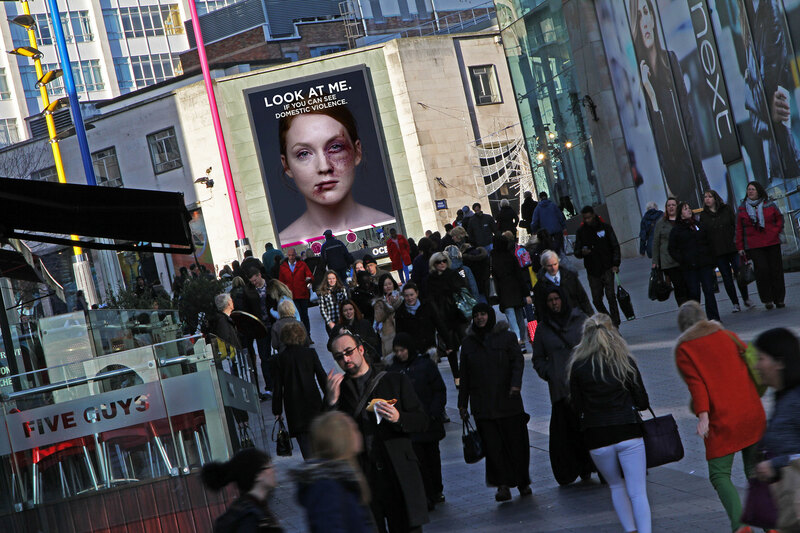 As more people look at the ad, her bruises and cuts heal faster, communicating the benefit of not turning a blind eye to the problem. 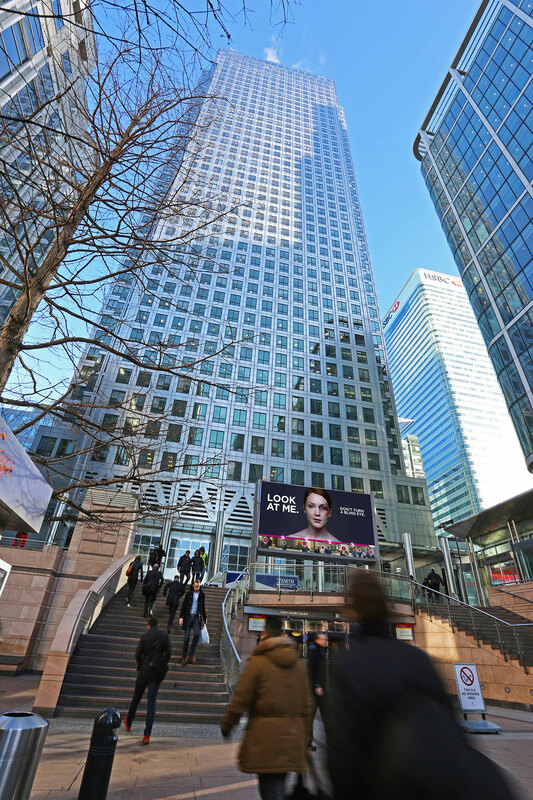 The campaign premieres today at Canary Wharf, but it's actually already won an Interactive Award in Ocean's annual Art of Outdoor competition 2014. The video below is the case study made for those awards—with a different image, as you can see. The new images are mockups of how the current campaign will look. More images and credits below.